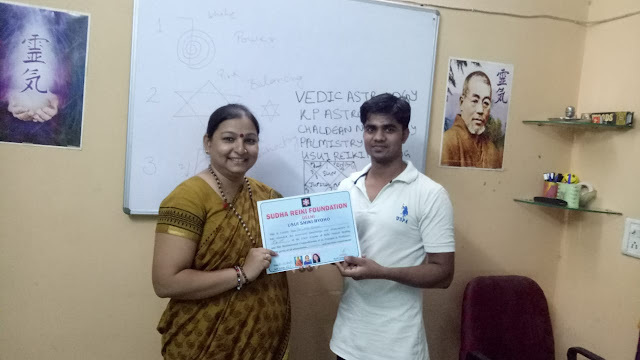 Ratnesh Kumar from Siwan, Bihar came to New Delhi to learn Reiki from Dr. Sudha and completed his first and level 2. He wishes to bring Gold for Bihar and we all wish him luck in his future career prospects. He is a state level Judo player and wishes to play for India one day.